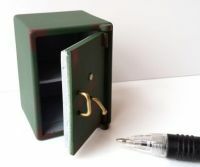 1/12th scale, for your dollshouse kitchen. 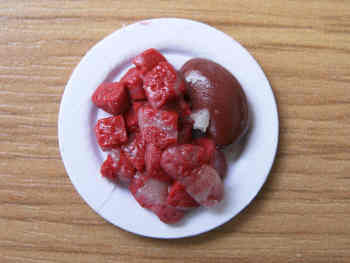 , , Here is an item which brings our popular and very realistic butcher's meat into your kitchen. 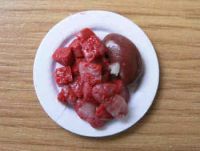 , A card plate with diced steak and a kidney - ideal for cook's table where she can be preparing steak &, kidney pie for the family's dinner.